"We want to take it back for the fans." 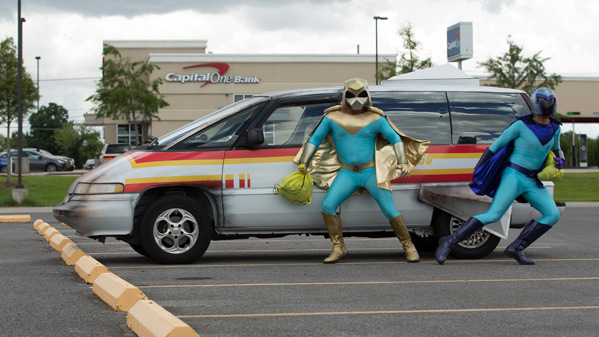 Sony has released the first red band trailer for Zak Knutson's indie comedy Supercon. Yes, this is as bad as it sounds, so don't be surprised. Supercon stars comedian Russell Peters as a former TV actor named Keith Mahar, who is bored of going from convention to convention. So he teams up with his other semi-famous friends and tries to get banned from the convention. The full cast includes Ryan Kwanten, Maggie Grace, Mike Epps, Brooks Braselman, Clancy Brown, and John Malkovich (crazy enough). This looks upsettingly absurd and potentially amusingly, but I'm not so sure. It seems like they went totally overboard trying to mock cosplay and conventions, and it doesn't look that fun. Another weekend, another comic convention for former TV actor Keith Mahar (Peters). Most people don’t recognize Keith. His only claim to fame was as a child star in an 80’s television show. Keith reluctantly joins his close friends, cartoon voice-over actor Matt, comic book artist Allison, and 80’sTV star Brock, who are also working the convention, but things take a turn for the worst when Keith’s former co-star and Supercon’s big ticket draw for the weekend — Adam King — decides to have this group fired and banned from the convention with the help of the convention promoter. This launches the friends on a crusade to bring down King and the promoter in the most epic way imaginable. 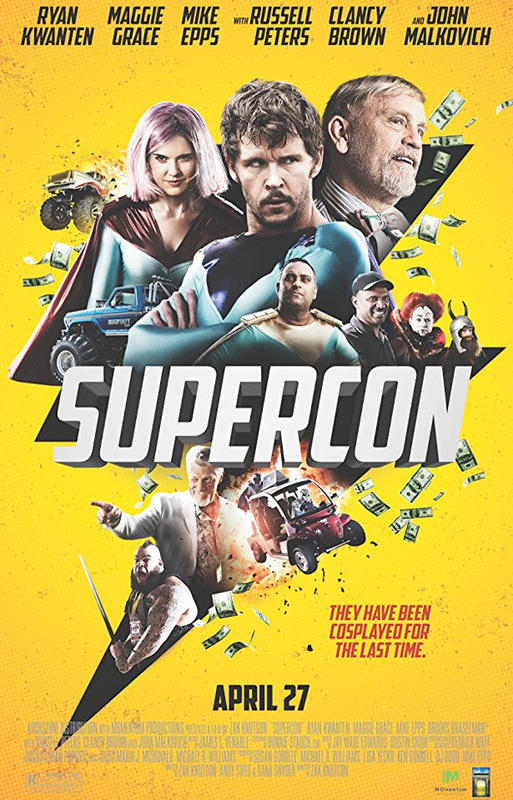 Supercon is directed by filmmaker Zak Knutson, his feature debut after making the doc Milius previously. The screenplay is by Zak Knutson, Andrew Sipes, and Dana Snyder. Sony will open Supercon in select theaters + on VOD starting April 27th.